Quickie Post, to let you know that David Brooks has finally revealed the secrets of conservative math. I’m on the road again in yet one more Newtonpalooza, so no substantive posting is going to happen, but I saw in my morning check of Balloon Juice (the only source for news you can really use) that David Brooks has produced another of his considered analyses to explain the real meaning of critical events. Nobody knows how this bill will work out. It is an undertaking exponentially more complex than the Iraq war, for example. The overt dumbness has already been dealt with at Balloon Juice. As the commenters there point out, the only honest response is “Uh…..noes.” It is also all you need to explain why the GOP so badly botched everything about that war. They thought and think this is true, that destroying a country and rebuilding would be simpler and cheaper than regulating insurance companies. (On that note — about two years into the Iraq war I had the chance to talk, completely informally with Madeleine Albright. Among much else interesting, she told me that in the briefing she and other former high-ranking Clinton and Bush I officials received in the run-up to the war, the Rumsfeld DOD had made essentially no after-conflict plans, which we know now to be exactly right. She told me she raised the thought that this was wrong, that real post-conflict planning had to be done to deal with all kinds of things, from the vacuum in civil power to economic matters. She was, she said, brushed off by the Bush version of the Best and the Brightest — the So-So and the Not-Quite-Set-To-Be-Watered-Twice-A-Day). But enough of ancient history. I’m still wallowing in the mess of trying to understand Mr. Brooks tortured diction. Just what the hell could he mean by “exponentially” in this context? Well — math jokes are not for amateurs, and I certainly don’t want to dive into xkcd territory (No! No! No! Quantum leaps are really smalllllll), but it occurs to me that Mr. Brooks’ statement is more than usually meaningless if you don’t know what exponent he’s thinking about. 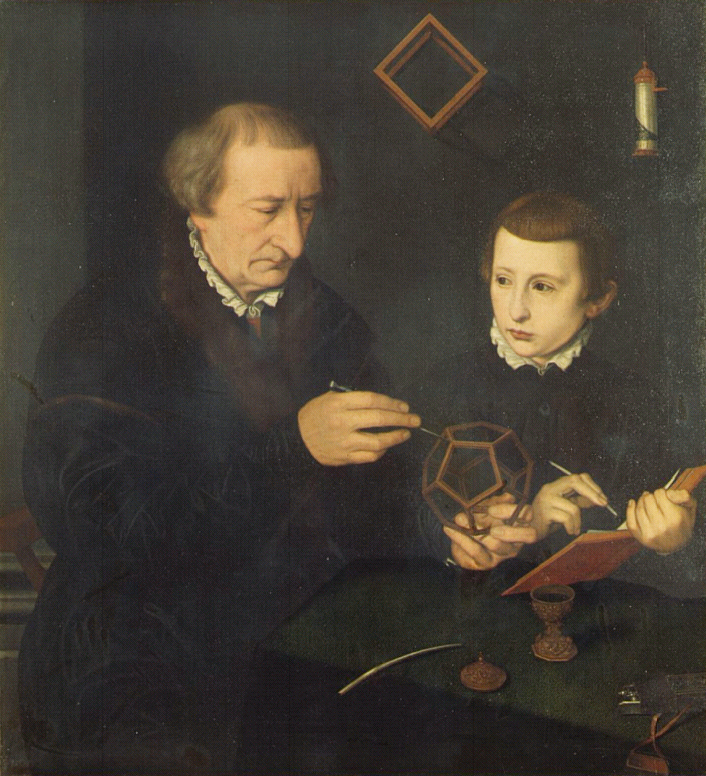 Image: Nicolas Neufchâtel, “Nürnberger Schoolmaster Johann Neudörffer and a Student,” 1561.